I am Hercule Poirot and I am, perhaps, the greatest detective alive. You’ve been enjoying a delightful holiday aboard the luxrious Budapest Express, but sadly, your trip has almost reached it’s close. Suddenly, only an hour before it is time for you to arrive at your destination, a body is discovered! The conductor refuses to stop the train, as he has a reputation for timeliness to uphold and enlists your help in solving the mystery. You only have one hour to find your suspect, otherwise, they’ll be free to leave the train and disappear forever! The only (other) problem is that it seems everyone has the means and motive to have done in the dearly departed! My second favorite Agatha Christie mystery is Murder on the Orient Express, and Budapest Express immediately jumped out at me as one of my most anticipated rooms at Escapology due to the simple fact that it seemed to share more than a few similarities to that venerable novel. (My favorite, for the curious, is And Then There Were None.) The second we stepped into the dining car of the Budapest Express, I knew this one would either be a great mystery worthy of its obvious inspiration, or it was going to break my heart. Luckily, the mystery within this room was great fun! The Budapest Express really does wow with its initial car, delivering a very convincing luxury dining car from the era. Searching around reveals more than meets the eye, and an emphasis on careful observation and some old fashioned sleuthing really help this experience to shine. The game flow centers around solving the mystery just as Hercule Poirot and Miss Marple would, paying a great homage to the greatest detectives in literary history, (Sorry Sherlock, but you’re vastly played out!) The style and ambiance are a breath of fresh air in the jam packed genre of mystery themed rooms. Anything can be important, but as the room evolves, it becomes clearer what is and isn’t a clue, and it all culminates with a climactic meta-puzzle that we really enjoyed solving in order to find our murderer! The game flow has a few hiccups, but the largely non-linear nature of the initial parts of the room quickly engaged our group, as there was definitely a lot to open and sort through at the start. 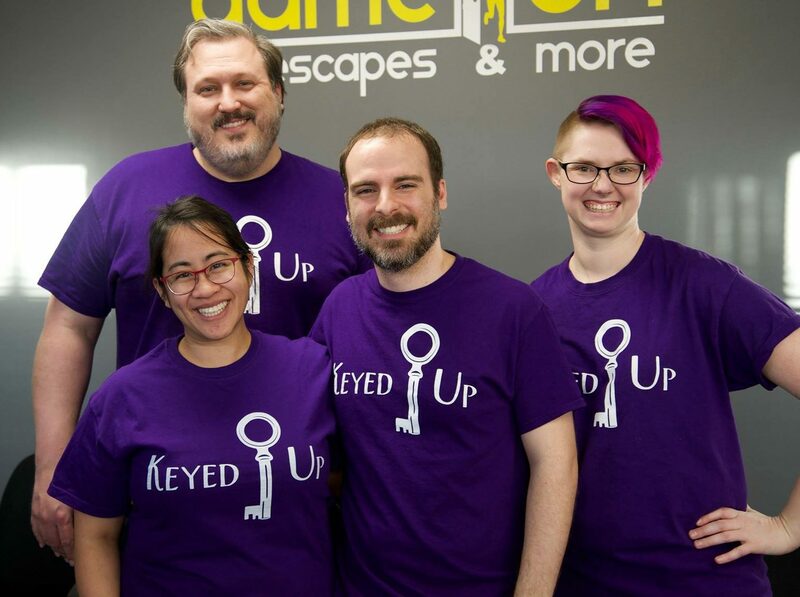 As the progression narrowed, we still had plenty of sleuthing to do, and with the exception of a couple instances where only a couple players could solve a particular puzzle, that engagement held throughout the adventure. Immersion was excellent, and barring the set becoming a bit bare by the end of the mystery, the train itself was very convincing. In fact, opening the windows on the train was a fun surprise, opening up to the “outside” rather than a bare wall as we’ve seen in other experiences. Like Under Pressure, the cars of the Budapest Express unfortunately become less and less detailed as you move along through the game. The effect is not as jarring as within the submarine, however, as there other cars are still fairly well done, but the end result is a flashy start and a somewhat anticlimactic reveal to subsequent rooms. There is a very small amount of destructible state puzzling involved, though not as severe as we first thought when we came across one of the main puzzles near the end of the game. It would’ve been nice to know that it behooved us to keep things together, but luckily, this wasn’t much of an issue overall. A fairly basic puzzle type that we’d seen before in another Escapology room showed up again, and the interaction itself wasn’t too interesting, save for the method of finding it being more involved. The Budapest Express delivered an excellent train ride through a mysterious and rollicking adventure! The overarching story’s build toward the engaging meta-puzzle was an enjoyable experience that I definitely recommend checking out. It is definitely a breath of fresh air to solve a mystery as part of the room rather than just escape as quickly as possible, so I think enthusiasts and beginners alike will have a lot of fun with this one, minor bugs aside. You can purchase your tickets on the Budapest Express here!